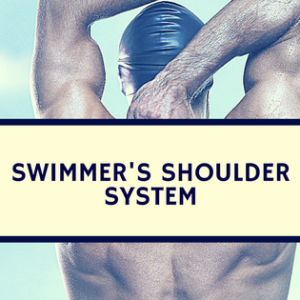 The shoulder is the primary site of injury in swimmers, but the low back is the second most commonly injured site. In fact, ~8% of those competing at a 2001 International competition experienced low back pain. Kaneoka (2007) noted thirty-eight (68%) elite swimmers and 11 (29%) controls had degenerated discs at various levels. Disc level L5-S1 was more frequently degenerated in the elite swimming group. However, there was no significant relationship of low back pain symptoms associated with this increase in disc degeneration. Swimmers had a lower rate of low back pain, but back pain was more debilitating. Now, degeneration and pain don’t always correlate as Allan Phillips has discussed, but if someone has pain, then modifying their swimming biomechancis is one potential method to reduce stress and alleviate pain. I’m sure not all of the readers will agree with these biomechanical corrections for swimming propulsive reasons. However, I recommend them because they will put less stress on the low back joints and muscles, essential for recovery. 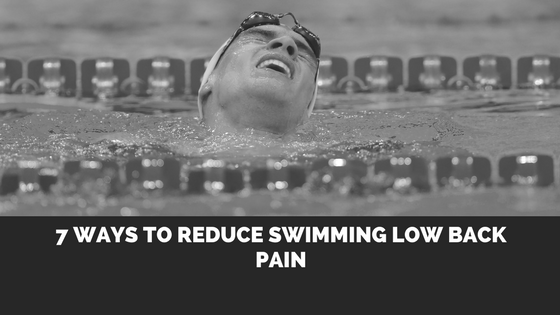 Here are 7 ways to reduce swimming low back pain. Swimming “Up Hill”: Swimming with the chest elevated is a common error in swimming. In fact, many swimmers feel they are swimming in a streamline position, when in fact their chest is too high. This is likely from the lungs and prone position in swimming. Unlike other sports, the lungs act as two balloons under the chest of the swimmer. This creates the illusion that the swimmer is in a streamline, when they’re actually swimming up hill. Overall, this position overactives the low back muscles, putting them under higher stress. Solution: Press the chest down, feeling like you’re swimming down hill. Forward Breathing: Breathing in freestyle should be smooth motion, directly in the horizontal plane towards the side. 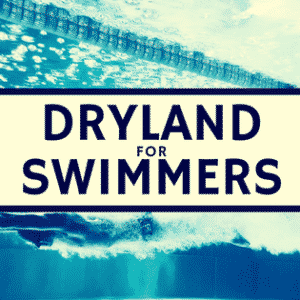 Unfortunately, many unskilled or young swimmers, and even some elite swimmers, lift their head and breathe forward. Breathing forward increases the stress on the low back. Solution: Smoothly turn the head to the side when breathing, barely bringing it out of the water for the breath. Until this is mastered, consider using a snorkel. Hyper Undulation During Dolphin Kicks: Although most of the swimming research suggests otherwise, many swimmers and coaches believe dolphin kick should be a full body movement for maximum force production. Disregarding ideal biomechanics for speed, performing a large undulation places excess stress on the low back, from the extra flexion and extension. Solution: Decrease the body motion during the dolphin kick and perform more of a knee oriented kick. Lifting Chest During Butterfly: Once again, coaches can debate the ideal breathing method in butterfly until the cows come home. However, if a swimmer breathes forward and lifts their chest too high, they will overactive their low back muscles and increase their risk of injury. Solution: If breathing forward, keep your head as low as possible, cutting through the bow wave. Also, consider swimming with a snorkel or using a side breathing if pain persists. Spinal Flexion Turns: The flip turn undoubtedly causes spinal flexion. 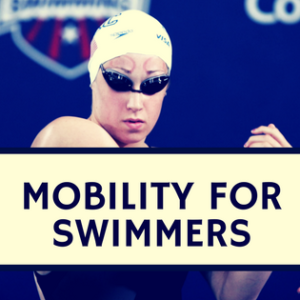 However, if a swimmer is having pain during their turn, they can attempt to use more hip flexion than spinal flexion for a simple method of reducing low back pain. Solution: When approaching the turn, bring the knees towards the chest and minimally flex the spine. Low Back Breath Breaststroke: Many elite breaststrokers keep their hips low and arch their low back as they rise for their breath. Unfortunately, this causes high stress on the low back. Solution: When breathing in breaststroke, move the hips forward for the breath, opposed to arching the low back. Rounded Back Start: Like the turn, one must round their spine for a start. However, pressing the hips back and keeping the chest and head in a neutral position can reduce the degree of stress on the low back, making the start more manageable. Solution: Keep the hips high during the start, by extending the front hip. Also, keep the chest and head in a relatively neutral position. Remember, if you don’t have swimming low back pain these adjustments are not needed. Only make these adjustments if they will increase your swimming velocity or if you have swimming low back pain. Good luck, stay healthy! The best way to reduce risk of back pain is to not only have proper biomechancis, but also have a strong core. If you’re looking for a strong core, purchase Swimming Core Training! If you need a more specific, individualized analysis of your swimming, purchase an individual consultation, click here to learn more. By Dr. G. John Mullen received his Doctorate in Physical Therapy from the University of Southern California and a Bachelor of Science of Health from Purdue University where he swam collegiately. He is the owner of COR, Strength Coach Consultant, Creator of the Swimmer’s Shoulder System.